Vintage British Indian Colour Hand Tinted Old Postcard, India. The Taj Mahal. Agra. Garden Gardens, Fountains. Agra. Panorama. General View. 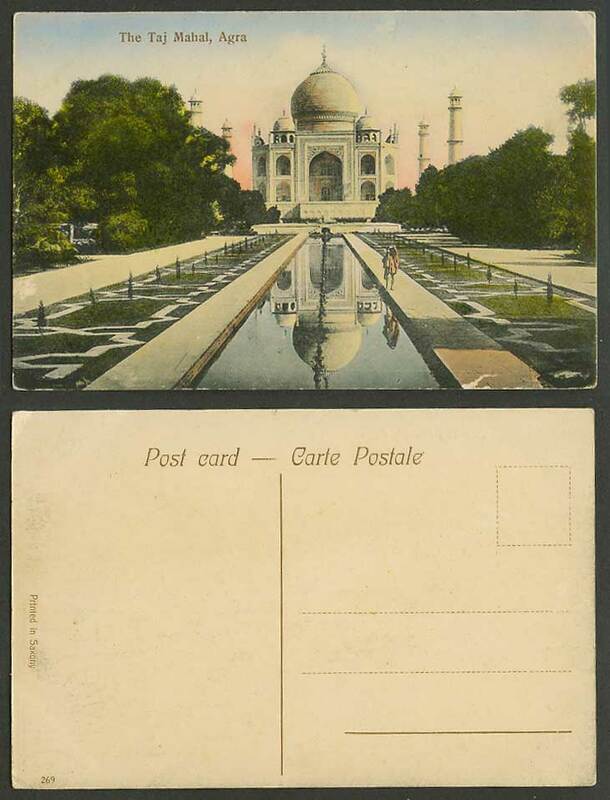 / Commenced in 1637 and completed in 1648 A.D. by the Emperor Shahjahan. Wonderful Building in the world. Background: Taj Mahal is the name of a monument located in Agra, India. It was commissioned by the Mugal Emperor Shah Jahan as a mausoleum for his Persian wife, Arjumand Banu Begum who was later known as Mumtaz Mahal (meaning "elect of the palace"). It took 23 years to complete (1630 - 1653).